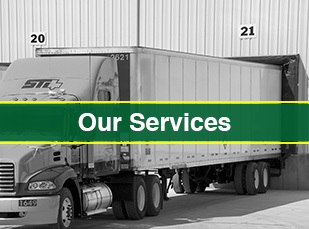 Founded in 1971 with six trucks and 18 trailers by Jack Sharkey, Sharkey Transportation, Inc. has grown in to a premier logistics company that provides unmatched service throughout the lower 48 states. With 14 strategically positioned full-service terminals and over one million square feet of warehouse space, we can efficiently, effectively, and safely handle all your shipping needs. We invite you to learn more about our company and the services we provide. If you would like to be a part of our growing team, please take a look at our available positions and contact us today. Thank you for visiting! We work hard to maintain our reputation for dependable service at a competitive price. If you are looking for a reliable, established transportation company to move your product, look no further than Sharkey Transportation. Interested in driving for Sharkey Transportation? Click the button below to find out answers to the top questions that are asked when it comes to driver employment at Sharkey Transportation. Feel free to contact us for answers to any other questions you may have. We want to provide you with top notch customer service. Call us, send us an email, or visit us in Quincy, Illinois.